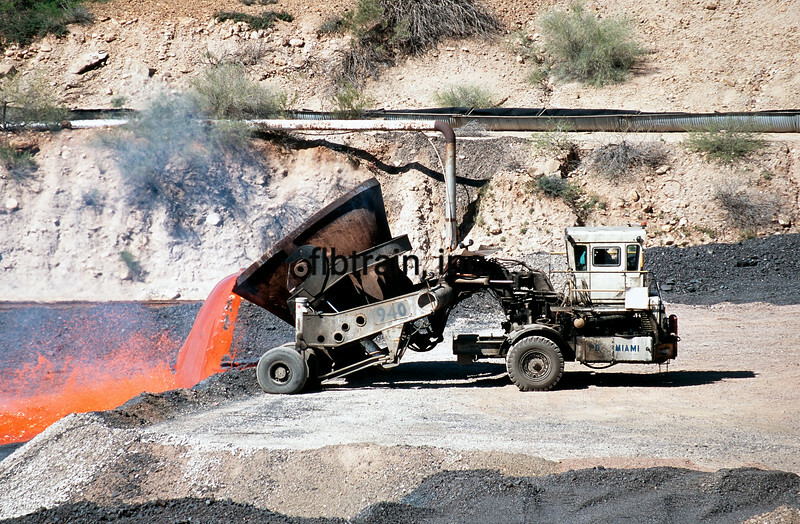 A Phelps-Dodge slag hauler dumps slag (2000 degrees) from the smelting process. Arizona & Eastern serves the smelter. Miami, AZ, 3/30/2004.